Catering and beverage service for the Woodforest Bank Club and The Pavilion Event Center are provided by Wicked Whisk Catering, powered by Spectrum Catering, Concessions and Special Events. For rental information and to book your event, call 281-363-0900. 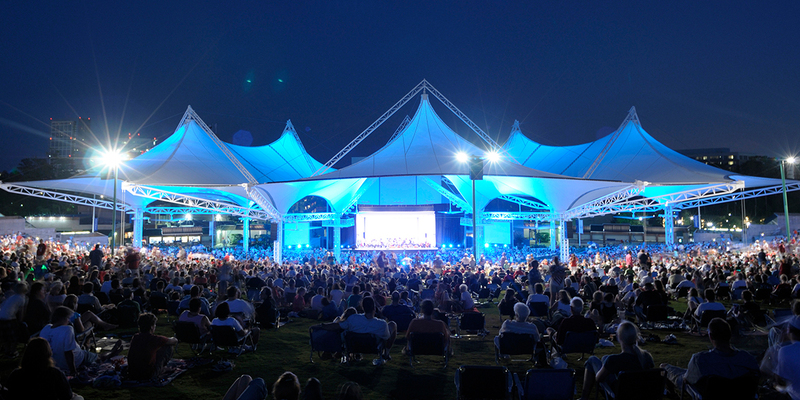 Located in the North Plaza of The Pavilion, the relaxed patio is perfect for soaking up the concert atmosphere with The Pavilion’s peaks and hill as the backdrop. Inside, the facility features four 42-inch plasma HD TVs and a 10-foot HD projection screen. 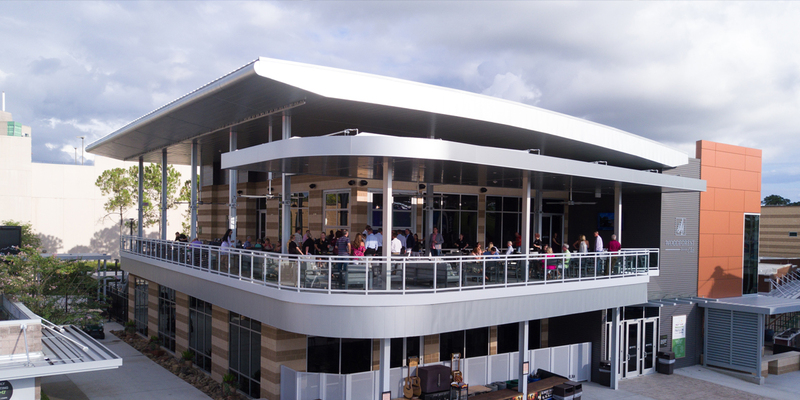 The Woodforest Bank VIP Club is a year-round facility, so use is not limited to The Pavilion’s season. Even though the club is not available for rental during Pavilion performances, it is available for group meetings or private functions every other day of the year. 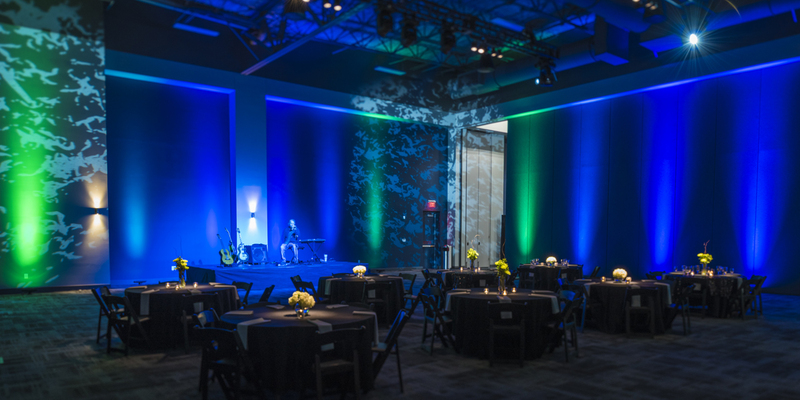 The Pavilion Event Center is a 21,000-square-foot event space located adjacent to The Pavilion Box Office with entrances off Lake Robbins Drive and from within the venue. The multi-purpose facility provides The Pavilion with an event space that is dynamic in both structure and amenities. Two moveable “air” walls allow for the space to be divided into three separate rooms, each complete with state-of-the-art multimedia capabilities. 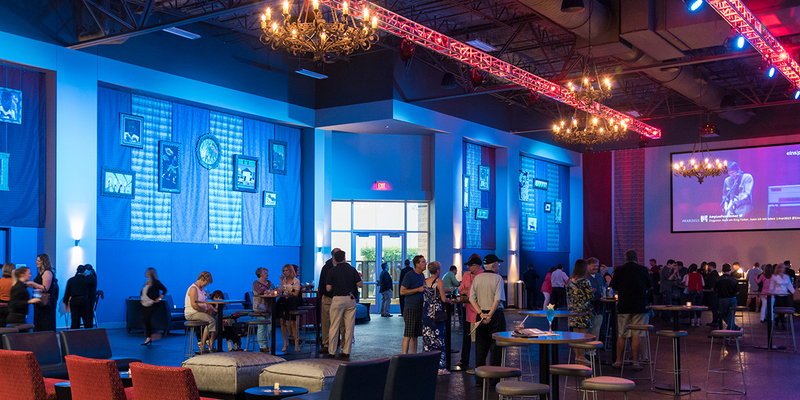 Located inside the Event Center, The Pavilion Lounge is a great place to cool off, grab a drink and catch up with friends. With seating for over 16,000, an iconic tent overhead and a lawn prepped for picnics and relaxing, there's no better place to spend summer night.